If you know Joe you already know where he is going for lunch, Pho Dau Bo! 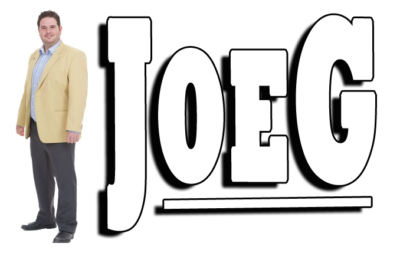 If you don’t know Joe that well, then watch this video to see where he eats 70 percent of his lunches! Located on Highway #20 in Fonthill, Pho Dau Bo Fonthill is a restaurant with a huge selection Vietnamese of food. But what Pho Dau Bo is most known for are their Vietnamese Pho soups. With a whopping 45 combinations of soup on the menu, check it out here, it is easy to say there is something that will suit just about everyone. Also available are a wide range of appetizers, stir fry, noodle and rice dishes and so much more. 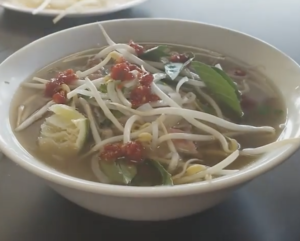 When you are looking to warm up on a cold day, check out Pho Dau Bo Fonthill, where the soup is hot and the service is impeccable. With 2 locations, one in Fonthill and one in St.Catherines, making a trip to Pho Dau Bo is easy no matter where you are! At least once a week, you can find Joe at Pho Dau Bo Fonthill. He can’t seem to get enough of #318, the rare beef soup. Thinly sliced super rare beef is submerged into steaming hot beef broth. Added are rice noodles, onion and cilantro. Along the side is some bean sprouts and Thai basil. Joe adds squirt of lime and dashes of hot sauce and red vinegar to suit his tastes. The soup Joe orders is a small, so keep that in mind when ordering. We have yet to see someone order a large. We assume it would probably feed an entire family of four. Next Joe has some fresh spring rolls. Shrimp and cabbage fills the lettuce wraps and a fresh peanut sauce is used for dipping. Crunchy and tasty there is nothing better to compliment a fantastic soup. Always a great lunch. Joe heads to St. Catharines to try some Vietnamese BBQ cooked right on the table! Check it out here! Are you interested in having your business or event featured on Must See Mondays? Message Joe here and find out why he is ‘The Right Choice’ to help you promote your business or event.